Patty & Bun ‘tests water’ with chicken concept: Better burger brand Patty & Bun is “testing the water” with a new chicken concept at two west London venues. The company will launch Jefferies as part of the summer line-up at The Prince and at Pergola Olympia, which are both operated by Incipio Group. Patty & Bun already operates at The Prince in West Brompton alongside tapas concept Edu. Patty & Bun founder Joe Grossman told Propel: “Jefferies is one of the little things we’ve had simmering behind the scenes for a while. We are pumped to launch at The Prince and Pergola Olympia to put it out there to see how it evolves.” Jefferies will offer a choice of fried chicken thigh or grilled breast marinated in lemon and garlic. The menu will include the Jeffery (chicken thigh with smoked garlic aioli, hot sauce and red onions on a potato bun), and the Bare Grillz (chicken breast with lemon and herb aioli, red onions, coleslaw and lettuce). Vegetarian versions will include the Pamela (crispy umami tofu patty), while sides will include Clooney Fries (salt and pepper). Patty & Bun operates seven sites in London and one in Brighton. It also trades at crazy golf concept Swingers in the City. The summer season at The Prince kicks off on Thursday, 25 April with Jeffries joining another newcomer to the site, better pizza brand Homeslice, which operates six London sites. Incipio Group opened The Prince in 2017, comprising four restaurants and a pub. In time for the summer season the company has installed a retractable electric roof over what is thought to be London’s largest pub garden. Last month, Incipio Group secured £5m from entertainment and leisure investor Edition Capital to open six sites in the next 18 months, including its first outside London. The £5m was raised through EIS, valuing the business at £20.5m. This will be used for sites in Wimbledon, Brixton and Putney, with venues also planned for Mayfair and Fulham as well as Birmingham. Launched in 2015, Incipio Group’s other sites are in Paddington, Hammersmith and White City. BrewDog makes Just Eat’s Neary new CFO as Marshall departs: Scottish brewer and retailer BrewDog has appointed Dominic Neary as its new chief financial officer, Propel has learned. Neary joins from online food delivery business Just Eat, where he had been EU finance director for the past year. Before that he was commercial financial officer for Moneysupermarket Group. Neary replaces Jason Marshall, who joined the company in the newly created role in May last year with responsibility to enhance BrewDog’s finance function as it accelerated UK and international growth. He was previously with Coca-Cola for 20 years. 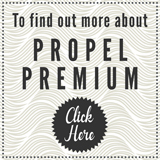 A BrewDog spokeswoman told Propel: “Jason Marshall has been a huge asset to BrewDog in moving our finance function forward. We are delighted Dominic Neary will join us in the role of chief financial officer. He comes with a wealth of experience in international finance and will bring his expertise to drive BrewDog’s record-breaking growth in the UK and globally.” BrewDog recently launched another crowdfunding round, looking to raise an initial £7m with a stretch goal of £50m. The company wants to open two breweries in China, the first before 2020. It also wants to open a hotel, brewery and museum in London after its first hotel, the Doghouse, at its brewery in Columbus, Ohio, “exceeded all expectations”. However, the key focus of the fund-raise is to open five European brewpubs including in Germany, Italy, Spain and France. Meanwhile, BrewDog has signed an innovative commercial relationship with Manchester design agency Love. The equity partnership means Love will reduce its creative fees but gain bonuses based on the commercial success of the brands it helps create. It will get an equity stake in the BrewDog business via its Equity for Punks investment operation. Love started working with BrewDog by updating the identity of its gin brand, Lone Wolf. Since then it has developed BrewDog Distilling Co products, with a premium vodka and gin and a number of others in development. Caffe Nero creates new coffee-infused food menu: Caffe Nero is launching a coffee-infused bacon sandwich as part of a new espresso-themed menu. The offer will be available across the company’s stores from Wednesday (17 April). The bacon is cured for more than 20 hours using Caffe Nero’s signature blend of coffee. The bacon is a signature ingredient that features throughout the coffee-themed menu and includes a ciabatta bacon roll, BLT sandwich, bacon sausage and egg breakfast pot, brie and bacon panini, and bacon and chutney flatbread. A number of sweet treats have also been infused with the brand’s coffee, including a dark chocolate espresso brownie and cappuccino cake. Caffe Nero UK head of food Hannah McKay said: “The aim is to put our coffee craft into our food to give it a premium appeal.” Caffe Nero said the bacon coffee-infused menu was “just the start”, with more innovations to follow during the course of the year. Five Guys to replace GBK in Notting Hill: Better burger brand Five Guys has further strengthened its UK pipeline by securing a site in Notting Hill. The 92-strong business will open at the former Gourmet Burger King unit in Portobello Road this summer. Propel revealed in February that the company, which secured a £100m banking facility from Goldman Sachs last summer to support expansion plans in the UK and Europe, has openings lined up in Camden, Peterborough, Cambridge and Plymouth as part of 11 openings in the UK this year. The company opened its 92nd site in the UK and Ireland earlier this year, at Braintree’s Freeport shopping centre in a unit formerly occupied by American diner Friendly Phil’s. Shelley Sandzer is understood to have acted on the Portobello Road deal. Shake Shack to open second UK regional site, in Essex: US better burger concept Shake Shack is to open its second regional UK site, in the Lakeside shopping scheme in Essex. The Danny Meyer-founded business will open its latest Shack on level three of the centre. The venue will feature bespoke artwork by illustrator Kate Prior and menu items specific to Lakeside. Since launching in New York in 2004, Shake Shack has expanded to more than 210 sites in the US and more than 70 international locations. The brand operates eight restaurants in London and one in Cardiff. In February, Shake Shack reported 2.3% like-for-like sales growth in the fourth quarter to 24 February 2019. Its offer includes 100% Aberdeen Angus burgers, griddled flat-top hotdogs, frozen custard, crispy crinkle-cut fries, beer and wine. Wolf secures Nottingham site to become seven-strong: Italian street food restaurant Wolf has secured a site in Nottingham for its seventh venue. The company is to open a restaurant in the former Graham Hill menswear shop in Market Street following a deal brokered by agent FHP. The building is being refurbished and Wolf will occupy the ground floor and basement with the upper floors converted into two-bedroom apartments. Wolf has taken a total area of 1,927 square feet on a ten-year lease at £37,500 per annum. FHP is bringing the freehold investment to the market to include the upper floor apartments, which could be let or sold on a long-leasehold basis. Oliver Marshall, of FHP, said: “Wolf is a great brand and we’re pleased it chose Nottingham for its latest opening. The concept is sure to be a hit in Market Street, which has strong footfall.” Wolf operates sites at Boxpark Wembley, Chiswick, Manchester, Reading (two sites) and Leeds. The brand offers an Italian-based street food menu including salad, pasta, piada and focaccia. Presland to take over former Foxlow site in Soho: Award-winning Australian chef Shaun Presland is set to make his London debut by opening a Japanese restaurant at the former Foxlow site in Soho. It is understood Presland, who was executive chef of contemporary Japanese restaurant chain Saké in Australia, will open the restaurant under the name Pacific later this year. Hawksmoor announced earlier this week it would close the Foxlow after two years of trading. The group said although the restaurant had been “successful in many ways”, it had received a “great unsolicited offer for the site”. Foxlow Soho will close after lunch service on Thursday, 18 April. The company said: “We are now going to focus on closing the restaurant in the best way possible – by looking after our suppliers and the people who work at Soho, many of whom we hope will join our other restaurants and maybe one or two might even cross the pond and join our team in Hawksmoor New York, which will open later this year. Hawksmoor is thriving, having just had its best year across its UK restaurants, and we are all looking forward to the challenge of making the New York opening a success and continuing to develop and improve the existing restaurants for customers and the people who work in them.” Davis Coffer Lyons is understood to have acted on the sale of the Soho site. Yakinori heads to Manchester for north west debut: Japanese restaurant concept Yakinori is to make its debut in the north west, in Manchester. The concept, which is the brainchild of Ali Karakaya, will open a site in the Halle Place area of the Arndale Centre this summer. It will be the brand’s fourth site in total. Yakinori launched two sites in Birmingham in 2015, in Selly Oaks and Grand Central, and two years later branched out with an opening in Park Street, Bristol. Karakaya used to operate Woktastic in Birmingham before the restaurant closed to make way for the Paradise Circus redevelopment. Andy Lennox plans Zim Braai fund-raise as he steps up expansion plans: Zim Braai, the southern African-inspired restaurant venture from Koh Thai founder Andy Lennox, is planning a fund-raise as it steps up expansion plans. Propel has learned Zim Braai plans to raise the funds via an equity crowdfunding campaign and loan notes. The move comes as Lennox starts to target new sites for the concept, which launched in Ashley Cross, Dorset, in December with trading reported as “in line with expectations”. Zim Braai has appointed Kevin Marsh, of Savills, and Kevin Conibear, of Fleurets, as key agents. The concept offers dishes from South Africa, the Seychelles, Malawi, Zanzibar, Madagascar and Zimbabwe. Lennox said he has adapted the recipes, flair and cooking style of the world’s second-largest and second most-populous continent to suit the UK. Last year, he told Propel Zim Braai could become “even bigger” than the now 13-strong Koh Thai brand he founded a decade ago. At the time he said he was looking to open five Zim Braai restaurants in five years. TRG to close Frankie & Benny’s in Irvine: The Restaurant Group (TRG) is to close its Frankie & Benny’s restaurant in Irvine, Scotland. The restaurant at Riverway Retail Park is expected to shut at the end of the month after 11 years in the town. A TRG spokesman told the Daily Record: “The casual dining market is facing various headwinds such as increased property costs, which have had an impact on certain sites within our leisure portfolio. Against this backdrop we have taken the difficult decision to close the Frankie & Benny’s site in Irvine. Where possible, we have looked to redeploy staff to other sites within TRG’s portfolio.” The Irvine restaurant isn’t one of the 44 sites TRG put up for sale as part of its ongoing disposal programme. The company has just brought another 22 sites to market, having instructed agent Savills to handle the outlets’ sale. Disco Bowl hands back Weymouth site following roof collapse: Disco Bowl, sister company of six-strong bar and nightclub operator Disco Bars, has handed back MFA Bowl in Weymouth, which it acquired out of administration as part of a nine-strong package, after a section of roof collapsed on Saturday (6 April). Nobody was injured but it was subsequently found repairs would cost £200,000 and the site in St Nicholas Street has been returned to administrator Duff & Phelps, with all employees made redundant. Disco Bowl managing director Pete Terry told the Dorset Echo: “The roof wasn’t safe so we had no choice but to immediately close the venue – we’ve got to be responsible with how we operate. We occupied the site for four weeks under licence from Duff & Phelps, the current leaseholder. We have had to return the site. We are devastated that this has meant staff employed at the venue have sadly been made redundant. We hope the landlord can repair the roof and we would look to return to Weymouth in the future.” Last week, Fever Bars co-founder Nigel Blair took a stake in Disco Bowl. Terry said: “Nigel will be our commercial consultant. His experience in the leisure industry, especially in corporate, property development and commercial matters, will prove invaluable as we reinvent this business into a market-leading bowling operator.” Fever Bars was acquired by Stonegate Pub Company earlier this year. Eataly opens in Paris: Italian food market and restaurant chain Eataly has opened an outlet in the Marais district of Paris. The store occupies more than 4,000 square metres and opens daily until midnight, Monday to Wednesday, and until 2am during the rest of the week. The Galeries Lafayette group has an exclusive franchise deal to operate the Eataly brand in France. Half the items sold at the store will be Italian and the other half French, including original products such as a French replica of the iconic Italian mozzarella buffalo cheese made with French milk and produced in Paris every morning. Overall, 1,500 Italian products will be on sale at the outlet, which will include seven restaurants. Live&Loud, backed by former Punch boss, hits £500,000 crowdfunding target: Live music specialist Live&Loud has hit its £500,000 target on crowdfunding platform Crowdcube for expansion. The company, whose backers include former Punch chief executive Giles Thorley, matches hospitality venues and artists to make booking live gigs easier. Live&Loud is offering 5.78% equity in return for investment, which gives the company a pre-money valuation of £8.1m. So far, 75 investors have pledged £504,500 with 15 days of the campaign remaining. The pitch states: “The Live&Loud platform acts as a digital broker between artists and venues, which aims to make it easier to organise events. It allows artists to promote themselves and venues to find artists relevant to their needs. The two parties interact directly to plan, book, promote and update the gig. We work on a ‘freemium’ model to venues and charge 15% commission to artists on booking through the platform. We believe the Live Music Act amendment of 2015 has been game-changing in allowing 121,300 UK premises to host live music without a live music licence. Research shows there’s 44% to 60% growth in sales when a venue hosts live music and 80% of customers stay longer if there is live music, while 70% will spend more. This investment will enable us to scale up our operation by growing our team as well as rolling out our UK-wide marketing campaign.” Live&Loud was founded by music veterans Mick and Ben Newton, while directors include former Sony Music chairman and EMI president Nick Gatfield, and Bond Aviation chief executive Peter Bond, a founder investor in Soho House. Mac Factory launches at Westgate Oxford: Mac Factory, the gourmet mac ‘n’ cheese concept, has secured a site at Oxford’s Westgate scheme. The concept, which currently operates out of Camden Market, has taken a unit in Westgate’s food court. The brand operated a concession in Oxford Street Debenhams but this has been temporarily closed. Mac Factory was founded by Graham Bradbury, formerly of The Gherkin restaurant and bar in the City of London and The Chancery in Beckenham. Property advisor Distrkt acted on behalf of landlord Land Securities on the Westgate deal. Mazi team to launch Greek-inspired bistro and cocktail bar in Notting Hill: Adrien Carre and Christina Mouratoglou, the husband-and-wife team behind Greek restaurant Mazi, are to open a venue in Notting Hill, north west London. They will launch Greek-inspired bistro and cocktail bar Suzi Tros in Hillgate Street next month. Named after a character from 1960s Greek film I Parisiana, Suzi Tros literally means “Suzi, you eat”. The venue, which is a few doors down from Mazi, will serve Greek-inspired small plates such as grilled calamari and whole aubergine accompanied by seasonal salads. The drinks list will feature Greek wine and beer. The upstairs dining room will feature a ten-seat kitchen counter and a 30-cover dining space, while the downstairs cocktail bar will offer snacks and drinks featuring lesser-known Greek spirits such as mastika and tsipouro. Monsieur Le Duck to open permanent site in Clerkenwell: Monsieur Le Duck, which operates a pop-up in London’s Spitalfields, is to open a permanent site in Clerkenwell. Spread over two floors with a private bar and function room, the 80-cover restaurant, which is on the former Workshop Coffee site, will open on Thursday, 9 May, six days after its Spitalfields pop-up closes. Menu options will carry over from the Spitalfields site, with diners able to choose from duck confit, duck magret breast and duck burgers. New options will include duck wellington, duck steak baguette and moules marinière. Small plates will also appear on the menu, including duck rillettes with bread, cornichons and jam; confit duck croquettes with chilli mayo or truffle; and confit duck wings on celeriac remoulade. A French-inspired cocktail list will also be available. Founded by Richard Humphreys, the concept takes inspiration from the “douceur de vivre” of Gascony, which translates as “sweetness of living” and relates to a leisurely and rustic lifestyle. Baygo closes sole site a year after opening: Caribbean concept Baygo has closed its site in Eastcheap in the City of London only a year after opening. The brand’s name derived from the island of Tobago, the homeland of executive chef Hasan De Four and founder Chris Morris. The latter had spoken of opening ten sites prior to the launch of its grab-and-go debut as it looked to fill a gap in the market for a Caribbean version of Itsu and Leon. David Haimes, former managing director of Itsu, worked as a consultant on the new venture. Breakfast items included vegan dish Ackee Ital Pot (ackee, sweet and spicy beans, avocado, spinach and roasted tomatoes). Lunch dishes included Island One Pots, curried goat and chicken, and a pulled-pork burger with homemade sauce. Baygo also offered a chickpea burger, salad, soup and roti wraps. JD Wetherspoon gets go-ahead for £2m Southsea hotel: JD Wetherspoon has had its £2m plans approved to turn space above The Lord Palmerston in Southsea, Hampshire, into a 24-bedroom hotel with roof terrace. The company reapplied to Portsmouth City Council in December to convert the unused upper floors of the pub in Palmerston Road. A previous application was turned down because of noise and parking concerns. Members of the council’s planning committee voted unanimously in favour of the project, which will include a first-floor terrace for pub customers and a hotel lift. Guests will be able to use nearby Ashby Place car park. Conditions attached to the approval mean the roof terrace can only be used between 9am and 9pm, The News reports. Meanwhile, Wetherspoon has endorsed a campaign by the ambulance service in the run-up to Easter weekend. The Don’t Choose To Abuse Campaign highlights the abuse ambulance staff receive and the consequences. The campaign has relaunched across Bedfordshire, Cambridgeshire, Essex, Hertfordshire, Norfolk and Suffolk with 47 Wetherspoon pubs in the region sharing the message through posters and drinks mats. Camden Market launches Italian Alley: Camden Market has launched Italian Alley, a space specialising in Italian food and beer housed in five restored railway arches. Each arch houses a restaurant that offers its own take on Italian flavours and produce and uses traditional cooking techniques. The traders are Brace (barbecue with an Italian twist), Focacceria Nazionale (flatbread based on recipes used in ancient Rome), Ciambotta (“banquets in a bun”, a cross between pizza and bread filled with stew), Polpetta (meatballs), Semola (pasta), and Taglioni (dishes such as gnocchi with sausage ragu and lemon zest). Food at each restaurant has been paired with a beer from Italian craft brewer Baladin. Italian Alley also features a piazza-style seating area, encouraging visitors to mix and match dishes from the arches and dine together, family-style. Each arch also offers a small amount of indoor seating, the Londonist reports. Maggie Milosavljevic, Camden’s Market’s food and beverage commercial director, said: “Italian Alley is a one-stop destination for dedicated Italian culture and cuisine. The concept really reflects our passion for international foods and reflects how we can tie these in with the rich culture rooted within the spirit of Camden. Each of the arches come together to create a synergy and promote the sharing quality of a traditional Italian family lunch.” Earlier this month, Camden Market owner LabTech and agent Colliers International launched a new approach to leasing the food and beverage element of Hawley Wharf, the 580,000 square foot mixed-use destination opening at Camden this autumn. LabTech and Colliers International will offer operators turnover rents and shorter terms and provide a baseline kitchen fit-out to reduce startup costs. Remarkable Pubs shakes up supply chain: Remarkable Pubs, the 16-strong, privately owned east London-focused pub company, has announced new beer, spirits, snack and wholesale supply arrangements. One brewery has been chosen from each London region – east, north, south and west – Five Points Brewing Company, Beavertown, Gypsy Hill and Fuller’s Beer Company. Remarkable Pubs managing director Elton Mouna said: “We have signed on the dotted line with these four London brewers because they produce consistently good and sought-after beer; they innovate; they are supportive; they understand our business and are nice people to do business with.” In addition to beer supply changes, privately owned crisps and nuts supplier Snack! has takes over from Tavern Snacks. Wholesaler Nectar has had its supply contract renewed but with Matthew Clarke taking a section of the business to “keep things competitive”. Diageo becomes Remarkable Pubs’ lead spirits partner, with Campari taking an “important supporting role”. Supercity Aparthotels seeks operator for Brighton site: Davis Coffer Lyons has been instructed to secure a restaurant or gastro-pub operator for Supercity Aparthotels’ new site in Queen Square, Brighton. The group, which runs aparthotels in Clerkenwell, Chancery Lane, Earls Court and Manchester, has named the Brighton scheme “Q Square”. It was built on a 26,000 square foot site that housed Brighton’s ice rink. The A3 space available at Q Square is on the ground floor and features a large terrace. The 3,000 square foot site is available in a shell condition on a new lease and rental offers are invited in excess of £65,000 per annum exclusive. Rob Meadows, executive director of Davis Coffer Lyons, said: “Q Square is in the centre of the city, a short walk from the seafront and pier, Brighton station and The Lanes – the main food and beverage pitch in Brighton city centre. The aparthotel’s design pays homage to Brighton’s artistic notoriety and the proposed restaurant space provides an exciting opportunity to work with a hotel operator on favourable terms to deliver an exciting new restaurant in central Brighton.” Spread over six floors, Q Square will house more than 60 fully furnished apartments of one and two bedrooms and include a concierge, dry cleaning and maid services.